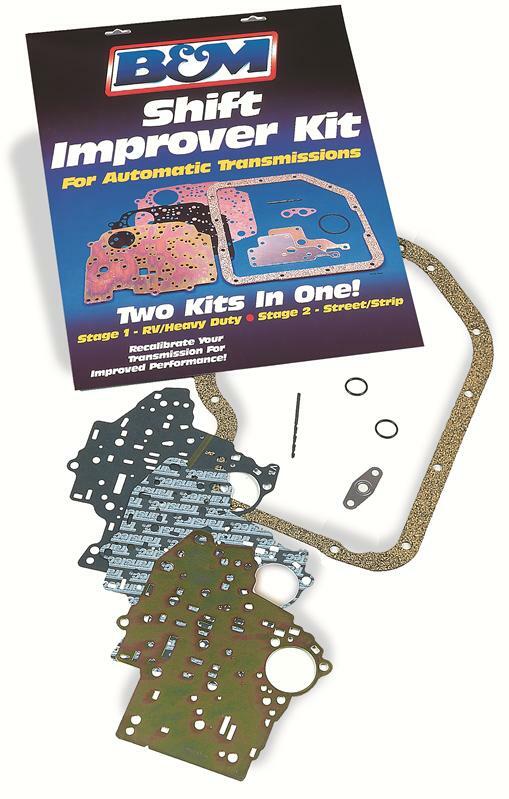 The B&M Shift Improver Kit the easiest way to get the stout performance you’ve always wanted out of your automatic transmission And you get two modes of performance to select from: Heavy Duty, or Street/Strip. It’s our least expensive and simplest to install kit. All you need are a few dollars and some hand tools! In the space of an afternoon, you can turn your transmission into a B&M-tuned unit! Just ask the thousands of satisfied customers that have installed one in their transmissions!